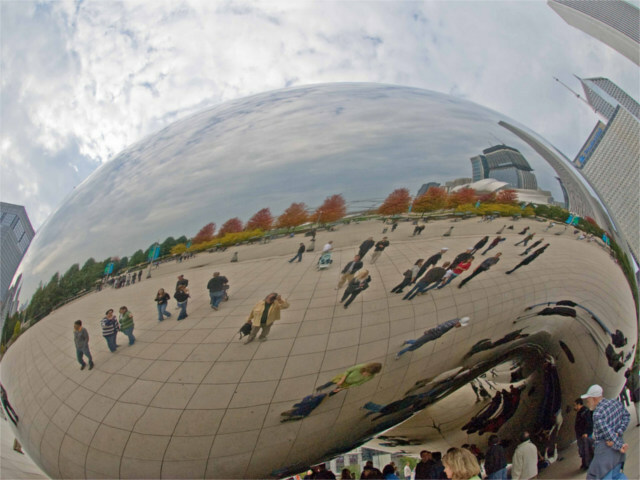 Cloud Gate, a public sculpture in the US city of Chicago. Photo by Marshall Segal. 71% of parents of school-aged children walked or biked to school when they were young, whereas only 18% do so now. The odds of having high blood pressure were 29% lower for residents of compact cities. 65% of the adult population in the United States is overweight, and almost one in three is obese. Over the past 25 years, the portion of children, age 6 to 11 who are overweight has doubled, while the portion of overweight teens has tripled. 15% of teenagers 6-19 are now overweight. How Our Cities Are Shaping Us: Urban Sprawl And Its Impact On Our Health infographic by chrisyoon. Thank you to Ryan Schleeter for providing the inspiration for this post. Friday Fun: Take to the Streets! Friday Fun: A Los Angeles cycling highway?